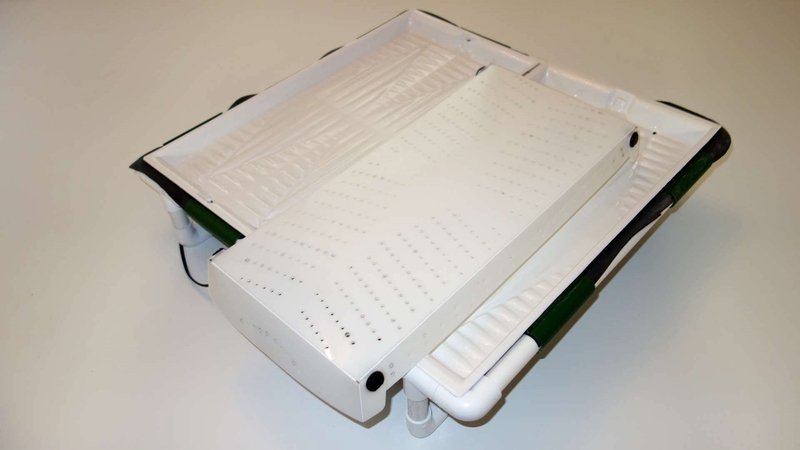 The MGC2 is a compact microgreen grow system with two sub irrigation trays. This system automates sub irrigation, which is simply watering from below the root zone instead of pouring water from above. 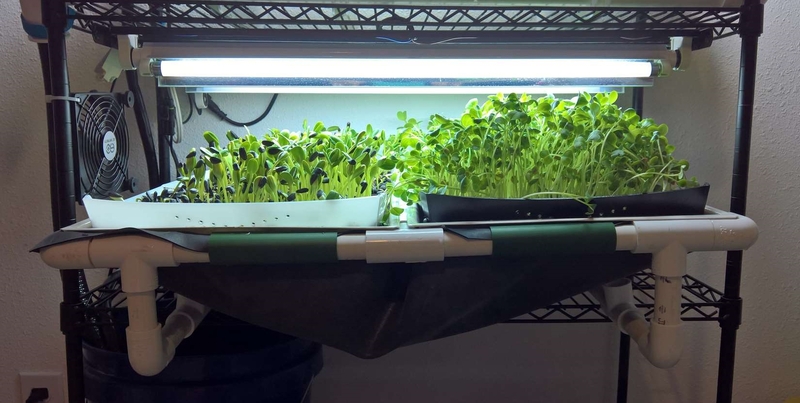 Sub irrigation is beneficial to microgreen growth because you’re not saturating the seedling canopy which encourages mold growth. This system was designed with simplicity in mind. 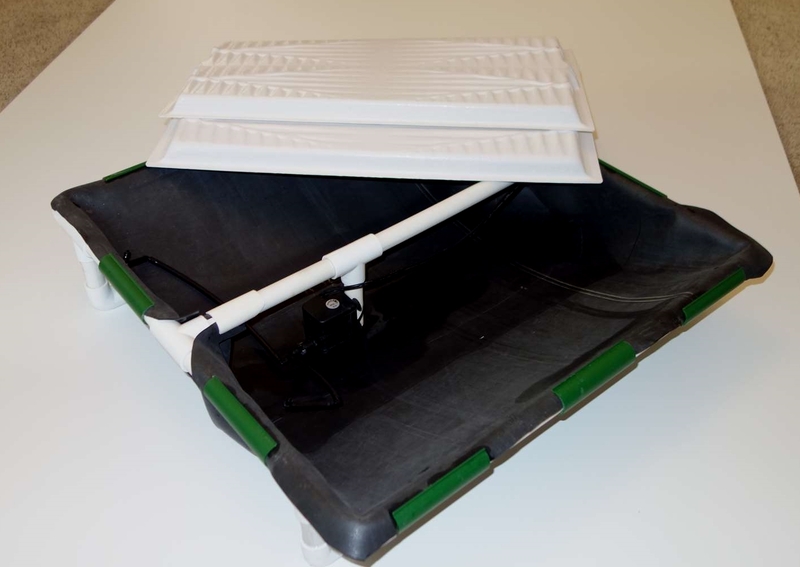 A small pump recirculates water through an inner flood tray specifically designed for the shallow root mass of microgreens. 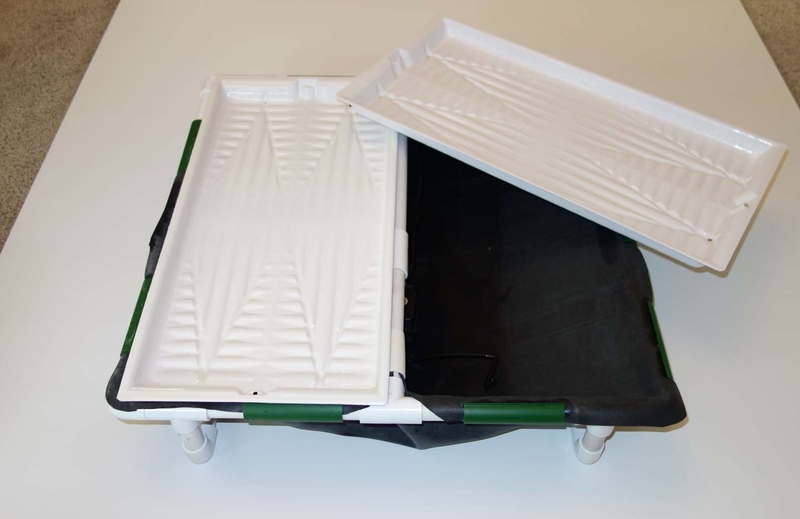 The inner tray is nested into an outer tray, which retains enough water to saturate the rootzone while preventing overflows. 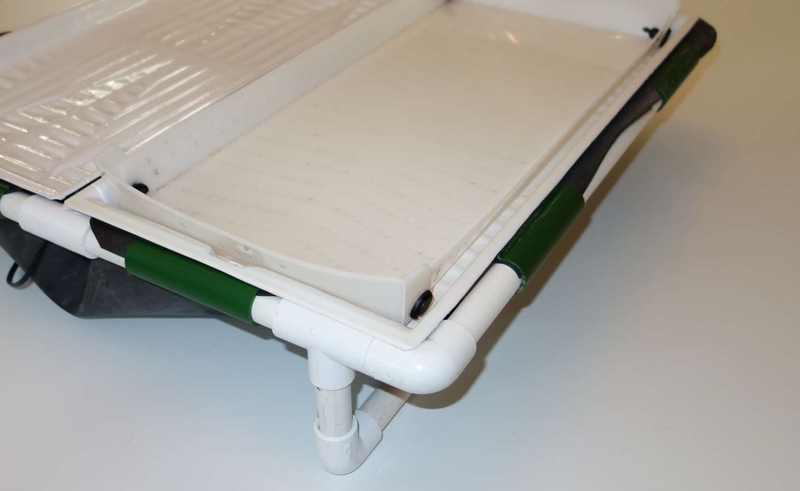 The system is pictured here with customized flood trays, but a version can be made with common materials found online or at the hardware store! This system is easy to build, easy to maintain, and a cinch to move or ship. 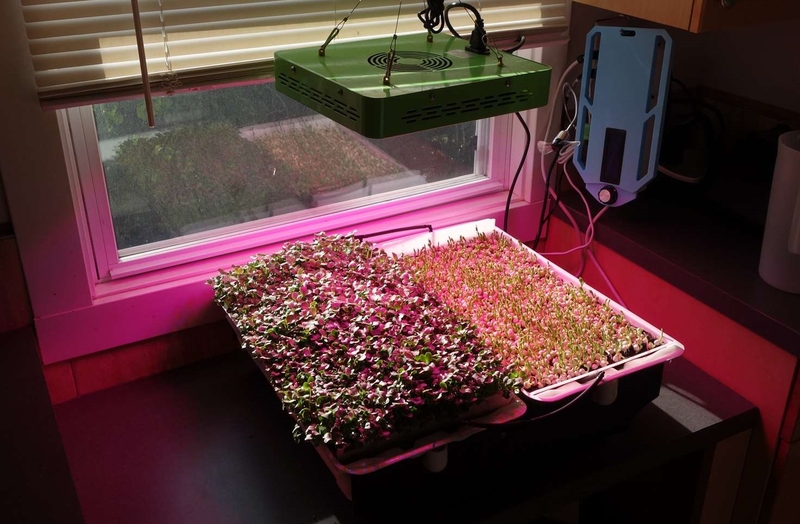 This system is a great starting point for anyone looking to grow fresh salad greens with minimal fuss and space requirements. Build this project from commonly available materials. A materials checklist and summary build instructions can be found on the make page!